Along the banks of the mighty Rio Grande River lies the heart of Southern Texas—the Rio Grande Valley. Steeped in tradition at the crossroads between the United States and Mexico, the Valley’s residents have established a unique way of life, honoring their past and reaching for their future. 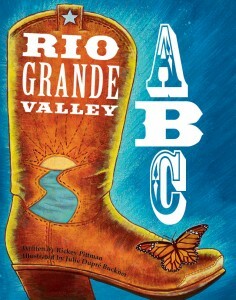 Brought to life through rhyming text and vivid illustrations, the sights and sounds of the Rio Grande Valley fill every page, from the flight of the aplomado falcon to the ride of Antonio Zapata and everything in between. In addition to the shared history of Mexican and Texas battles and triumphs, author Rickey Pittman details daily life in the Magic Valley, displaying the delight of a daughter’s quinceañera and the spirit of mariachi music. Illustrator Julie Dupre Buckner captures the hues of Valley life, from the bright butterflies gracing the grasslands to the clear night sky shining with stars. The history and the heart of the Valley and its inhabitants, both human and animal, fill every page of this informative and essential book. Rickey E. Pittman, often called “The Bard of the South”, is an award-winning storyteller, author, and folksinger. 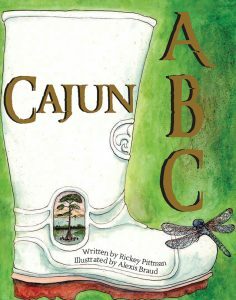 The author of more than a dozen books and four CDs, Pittman earned a BA in New Testament Greek and an MA in English Literature from Abilene Christian University. He currently teaches college level freshman composition and literature. Pittman is a tireless performer, constantly conducting appearances at schools, libraries, festivals, conventions, and workshops, including many in the Rio Grande Valley. A certified secondary gifted English teacher, originally from Dallas, Texas, he claims the Rio Grande Valley as his second home. Pittman loves and appreciates the Rio Grande Valley, its history, its culture and its people.